Our Cutera Limelight IPL treatment is designed to diminish and remove unwanted skin pigmentation due to sun damage, smoking and the natural aging process. Do you live with hyperpigmentation? It’s likely that much of your skin damage has been done in your adolescent and early adult years, but it’s important to take charge of your health and well-being now. Your skin is the largest single organ on your body, a buffer zone, a protective layer for your internal organs and bodily functions. It’s important to give yourself the gift of a reactive and preventive skin care regimen that will shave years off of your appearance. If you’ve experienced photodamage, Rodgers Center for Plastic Surgery can help without any surgery or anesthesia. Cutera XEO Limelight IPL (intense pulse light) handpiece sends direct laser light that targets pigmented skin, revealing fresh, unmarked skin underneath in the process. 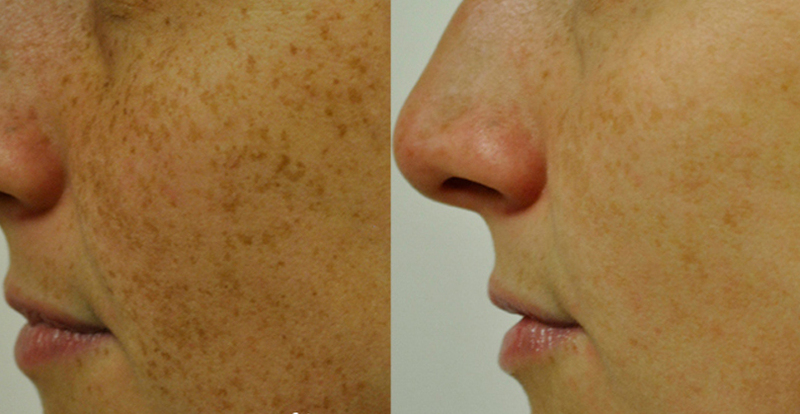 Say goodbye to unwanted hyperpigmentation from sun damage. Limelight is a new, non-invasive skin resurfacing treatment ideal for skin redness, abrasions, tiny facial veins, and minor to considerable skin discoloration. 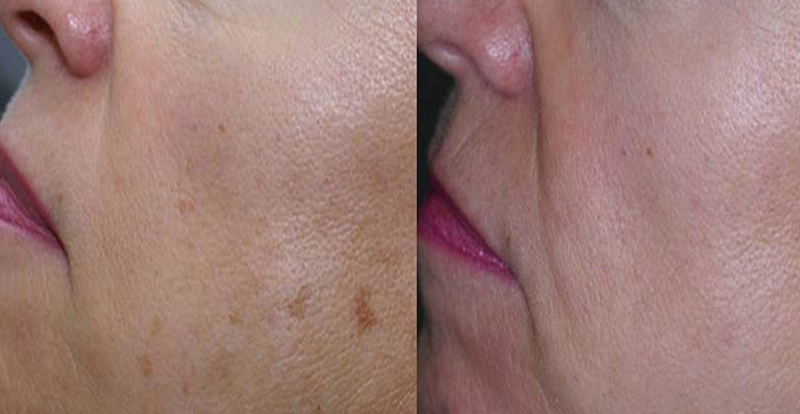 In general, light brown age spots respond very well to our non-invasive Cutera XEO Limelight treatment. Expect the treated area to look darker and a little scabby for around 2-3 weeks after the treatment. The results: a much younger-looking, uniform skin surface. Surface imperfections associated with aging and sun damage require only one to three treatments to achieve results depending on the extent of sun damage. Our Cutera XEO treatment is so safe and the pain induction is so low that anesthetic creams and pain medications are not required for our innovative laser skin pigmentation and vein removal treatments. Limelight is FDA-approved for a wide variety of skincare and beauty treatments. In just 1-3 treatments patients will start to see desired results. 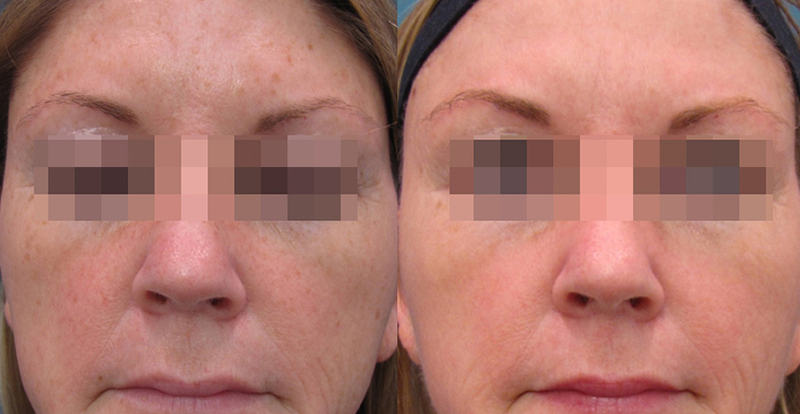 More treatments may be necessary for skin that has experienced excessive photodamage. Patients might experience redness after the procedure followed by brown spots darkening and flaking off in a pain free fashion in about one to two weeks. We’ll discuss everything with you up front and with full transparency. No two people are the same, so no two treatment plans are ever the same. We’re here to help you achieve your aesthetic enhancement goals without resorting to surgery, should that be your need. All treatment cost will be discussed ahead of any treatment.